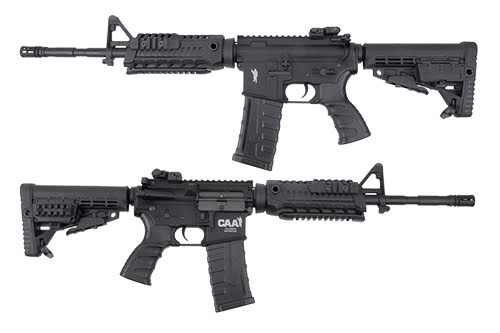 Thank you very much for your support to the CAA Airsoft products. 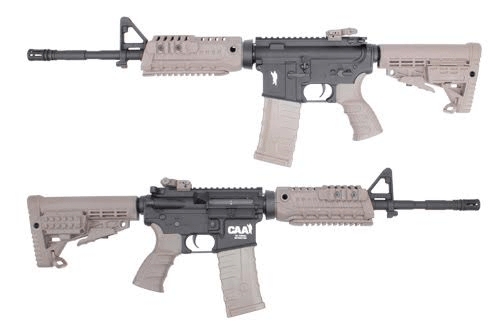 We are very pleased to announce the CAA Airsoft Division 14.5" (Carbine) and 10.5" (CQB) M4 AEG Sport Series Black & Dark Earth colors are restock again and we wish you all will enjoy them. Place your order now and ask for your local dealers for more info. 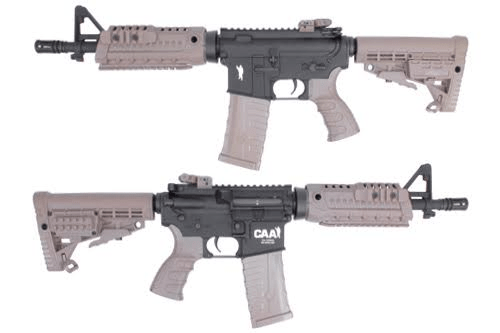 The CAA Airsoft Division M4 Carbine and CQB AEG Sport Series is equipped with a 14.5" & 10.5” nylon fiber outer barrel, and the light weight nylon fiber M4S1 Picatinny Rail System. 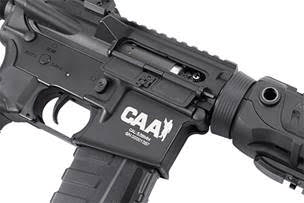 The official CAA trademarks were laser engraved on the nylon fiber receiver. 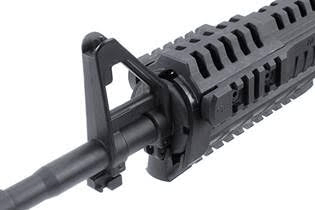 The ergonomic designed nylon fiber pistol grip can provide great comfort and better holding gesture. 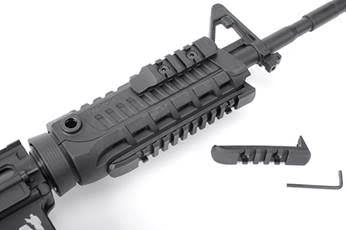 The nylon fiber collapsible buttstock can be set to 6 different positions. 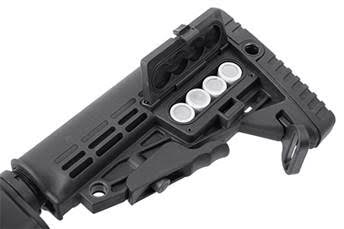 There is a storage compartment in the stock for 4 x CR123 batteries. 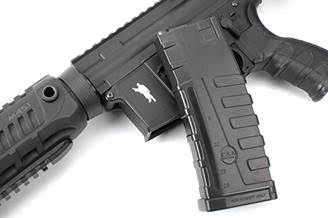 The rubber non-slip buttpad with tapered angle, allows faster shouldering and increase comfort with body armor. 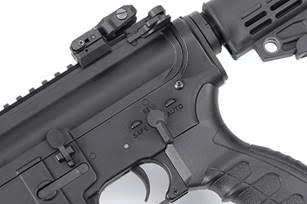 The side rail on the buttstock can be used to install Adjustable Cheek-rest, magazine pouch or shell holder. 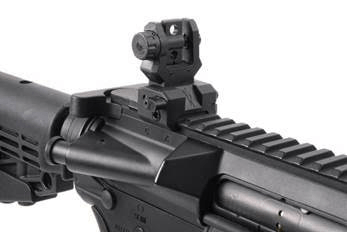 A QD sling swivel can be attached on 6 different positions on the stock and handguard. 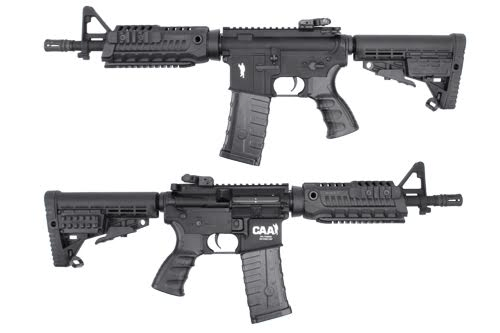 Also we have many accessories are available too, Please feel free to contact us if you interesting any items, thank you very much for your support of the CAA Airsoft again.